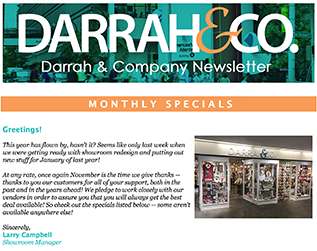 Specials | Darrah & Co.
Each month, many of our vendors offer great specials. Click on the image to view this month’s specials. If you are currently not receiving our Darrah & Co. Monthly Specials Email and would like to, join our mailing list by clicking here.